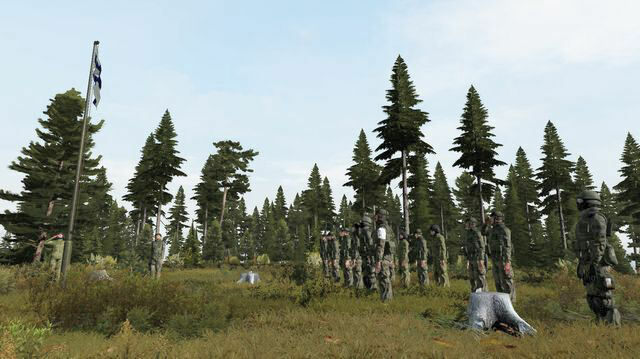 LDDK and Anrop (SWE) launched a well planned invasion of Chernarus last night. The fighting men and pilots of both squads bravely faced overwhelming Russian forces and paramilitary units and suffered heavy losses but were in the end triumphant. LDDK wishes to thank Anrop for their support and professional soldiering skills. The Detachment held its traditional platoon inspection and parade on Tuesday to celebrate Finland's 94th Independence Day. After the ceremonies the platoon received shocking news of enemy presence on the Karhunhammas Peninsula and was ordered to thwart the attack. Despite the all risks entailed in a late-night bicycle march, the mission was an outstanding success and the enemy repelled in short order. Kers Sami was promoted to Ylikersantti (ylik). Korpr Raunhofer was promoted to Alikersantti (alik). Korpr Sahuri was promoted to Alikersantti (alik). Stm Nouty was promoted to Korpraali (korpr). Stm Rölli was promoted to Korpraali (korpr). Korprs Spinoza and Jarger were awarded with Kuntoisuusloma (KL) for arranging combat operations. 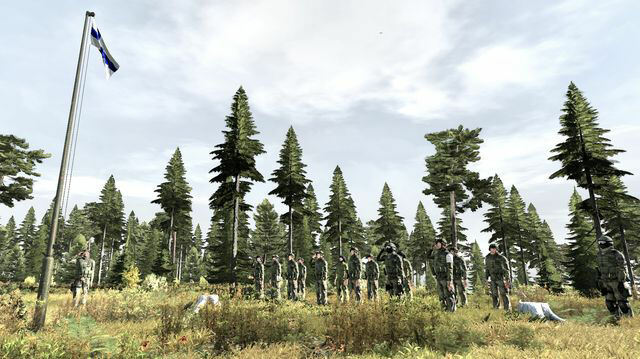 LDDK hosted a large scale coop event last night and were joined by the fighting men of Folk, ARPS, CiA and RONIN. The event witnessed serious fighting on the battlefield in Takistan. The close to 50-man combined force suffered heavy casualties but the mission was finally completed after four hours of intense fighting. LDDK wishes to thank all participants and is looking forward to the next operation. Video courtesy of Kenwort. 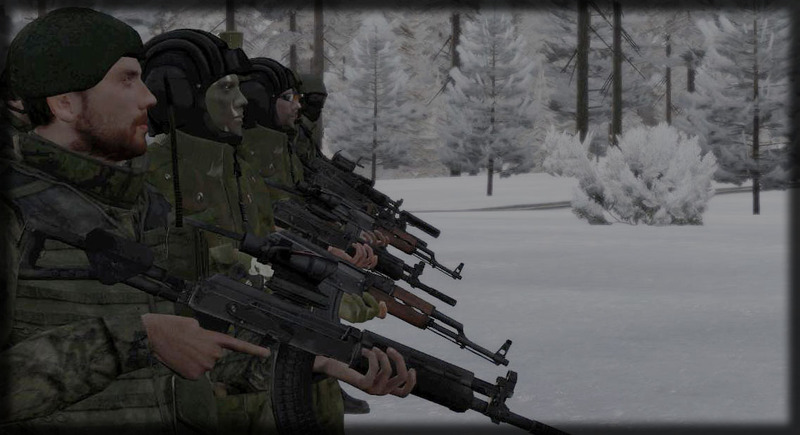 The fighting men of LDD Kyllikki made a rare visit to Sweden last weekend and fought a bloody war against Anrop (SWE). 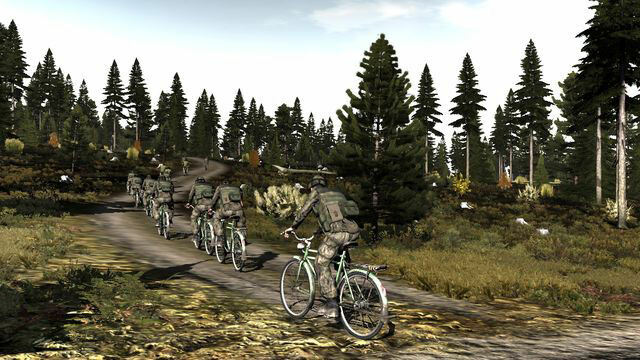 Fortunately the war was simulated using FDFmod and Swedish forces pack and the battlefield was the lovely island of Sturkö. Both sides tried their best but ultimately the struggle ended in a 1-1 draw. Kyllikki wishes to thank Anrop for the challenge and is looking forward to the next battle! 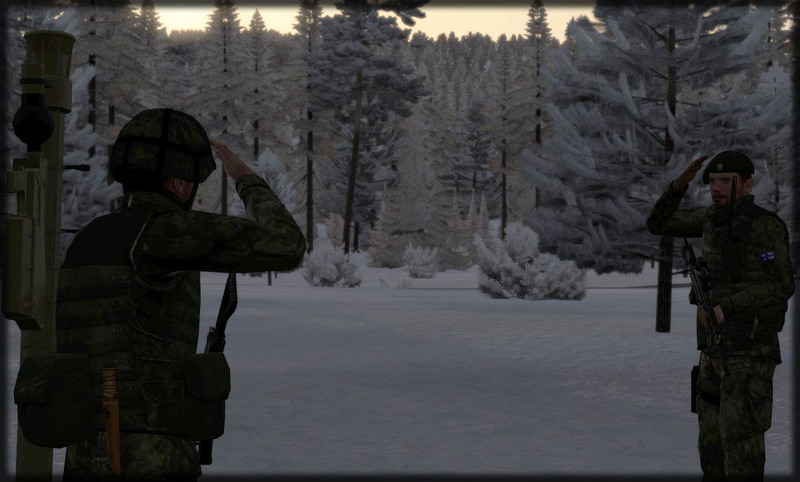 A platoon inspection was held last Sunday following the Finnish Defence Forces Flag Day. After the promotion and award ceremony near the camp, the detachment transferred by bicycles to the parade ground to display its marching prowess. Korpr Spinoza was awarded with Kyllikin Risti (KyR) for great accomplishments and outstanding service in LDDK. Throughout his service korpr Spinoza has gone above and beyond the call of duty by not only providing the platoon with a multitude of training missions of excellent quality but also by unyieldingly striving to create and uphold LDDK's international relations. Korpr Spinoza's work has contributed greatly to the operation of the whole detachment during the past years. Nouty and Coronel were promoted to Sotamies, having completed their recruit period. Stm Nouty was assigned to the 2nd Squad as an engineer. Stm Coronel was assigned to the Recon Team as a scout. Korpr Jarger for providing the detachment with mortar readiness. Kers Sami for exemplary service as the second in command of the 1st Squad. Korpr Sahuri for exemplary service in the Recon Team. Stm Choke for exemplary service as a medic. Nouty has joined the detachment. Welcome! 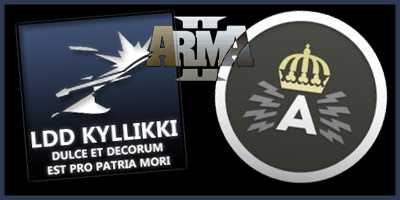 The Local Defence Detachment Kyllikki was founded ten years ago today. The event was celebrated appropriately when the detachment returned to its roots with a game of Operation Flashpoint—enhanced, of course, with the original FDF mod. Over the years LDD Kyllikki has seen well over a hundred members in her ranks, from old to young, from a variety of professions and occupations, and from all over Finland. Many have left over time and others have come in their stead. Indeed, the unequalled camaraderie and the strong esprit de corps of the detachment remains not the same as it was a decade ago—but has been steadily strengthened by the passing years. The LDDK of 2011 is a capable unit of outstanding members. The tenth-year anniversary was thoroughly celebrated last weekend in a squad meeting that was the biggest yet. Also the new detachment colours were unveiled. Alik Night was promoted to Kersantti (kers). Korpr Karko was promoted to Alikersantti (alik). Korpr Stellar was promoted to Alikersantti (alik). Stm Jarger was promoted to Korpraali (korpr). Korpr Shuko was awarded with Pro Kyllikki (PK). Korpr Shuko has striven to study the editorial side of the game and helped the whole detachment to realise its potential. This, added to his exemplary service, has earned him the Pro Kyllikki medal. In addition, Blake, Psykoisi, Wolfskin, Jafarin, Ukkapukka, Kuokkanen, Hammer, Broileri, Night, Murmeli, Mammoth, Goeth, Kuik, Kegetys, Karko, Stellar, Charlie Frank, CZ, Eizei, Jarger, Maako, Shuko, Tahvo, Elli, Rölli, Conrad, Efe, Peter North and Raunhofer were awarded with Talkootyön Ansiomitali (TA) for participating. The 10th-year celebrations will continue. Coronel has been recruited to LDDK. Welcome! FDF Mod has been released and is now in use in LDDK's servers. LDD Kyllikki started the celebrations of her 10th year anniversary on Sunday evening with a friendly team vs. team match. Reinforced by Finnish and Catalonian players, LDDK fought against the combined force of Folk and MARSOC in a series of A&D missions. The current server player limit of 64 was reached, marking a new record for the biggest adversarial game ever played on LDDK's servers. The Local Defence Detachment wishes to express her gratitude for everyone who participated and especially the members of Folk and MARSOC. The celebrations will continue through the coming weeks. 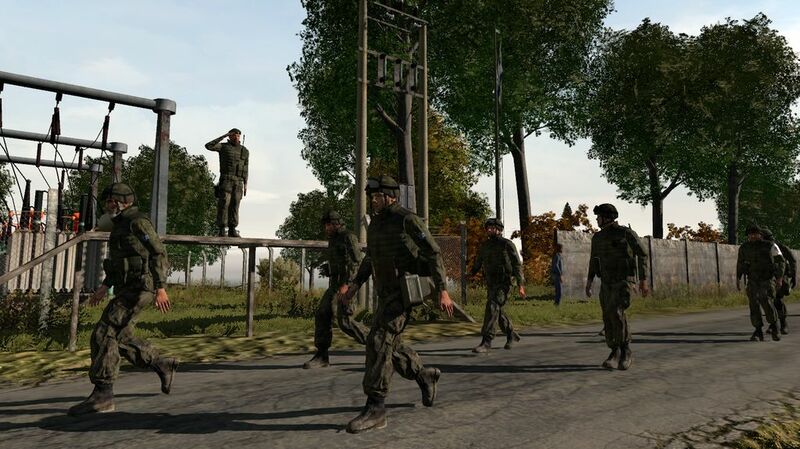 Also Gladd has been promoted to Sotamies and assigned to the 2nd Squad, where he will be serving as a rifleman. Congratulations! 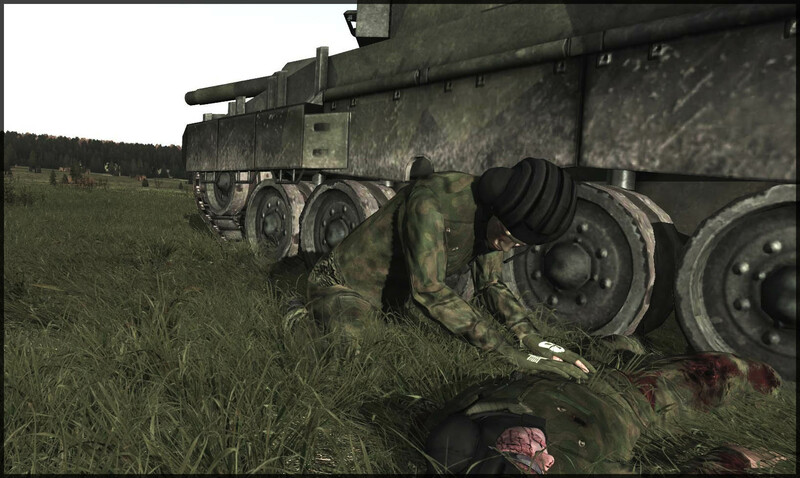 Choke has been promoted to Sotamies and assigned to the 2nd Squad as a Medic. Congratulations! Choke has joined the detachment. Welcome! As LDD Kyllikki prepares to celebrate its 10th birthday on the 30th of March, we will be hosting various events throughout the year. Some of those are reserved for members of the detachment only, but some will be open to the public. 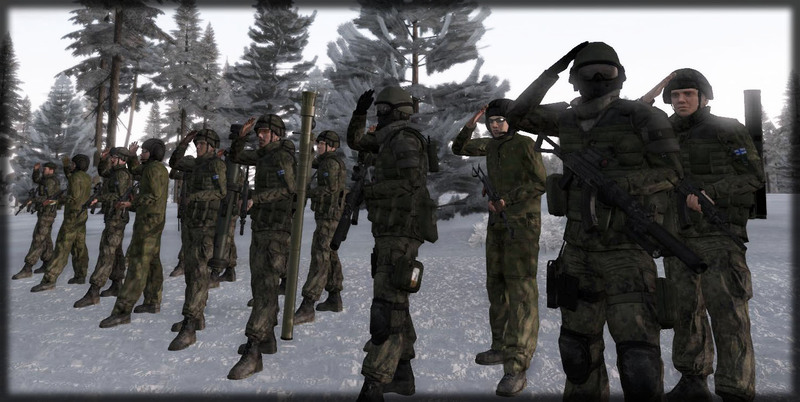 Confirmed rumours talk of campaign-themed co-op missions, theme nights at our Arma 2 and re-opened Operation Flashpoint servers, a 10-year anniversary meeting somewhere in Finland where current and old members are welcome, and much more. 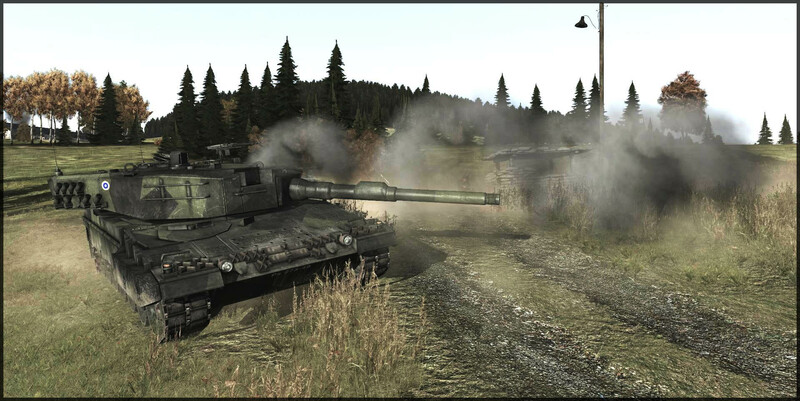 Persistent rumours even insist on Finnish Defence Forces mod team publishing their work for Arma 2. Stay tuned on our irc channel and follow the notifications at our forum and webpages.